The power of small business is clearly recognized in Denver and throughout the state, but that isn’t always enough when a financial need or opportunity arises. That’s why National Funding is here to provide quick access to working capital, helping small businesses fund efforts to stabilize and expand their operations. If you are Denver small business owner looking for a lender that cares about the success of your small business, choose National Funding. Working capital loans provide an influx of funds to use as small business owners see fit. Nearly any legitimate business expense is eligible, from unexpected bills to new hires and purchasing. Cover the costs of unforeseen business expenses. Give you and your employees valuable additional skills. Increase stocking levels for finished products and raw materials. Market your business throughout Denver and beyond. National Funding works exclusively with small businesses. That means we have a strong grasp on how to best provide working capital loans. We’re also proud to offer a lending process that takes the needs of small businesses into account, from the initial application to delivery of funds. As a small business owner, you deserve a partner that understands your unique position and does their very best to help you access the working capital your business needs. Our dedication to small business lending starts with your working capital loan application. We know how difficult it is to take time away from your business, so we make sure you don’t have to put in any more time or effort than is necessary to complete an application. The process is efficient and easy. What does it look like? A simple application that focuses on a few specific business metrics, not piles of business data. Practical lending standards that take the reality of operating a small business into account. Delivery of funds in just a few days, meaning your working capital gets put to use without delay. Our quick online application process makes it easy for you to apply and receive a decision with little delay. What do we need from you? Just a single page of information that can be completed online - no long, drawn-out application required. Three months of recent bank statements. 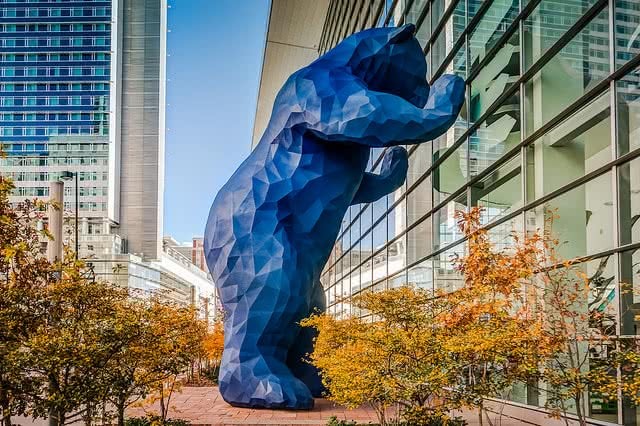 Denver offers fertile ground for small businesses, in areas from service and tourism to biotechnology and manufacturing. Have you considered what your enterprise could do with a working capital loan? The options are nearly endless. That flexibility of funds is one of the biggest benefits of a working capital loan - when you qualify and the money is delivered, you can put it toward nearly any legitimate business purpose. From a number of small fixes and improvements to a single, major project or paying off high-interest credit card debt, your loan is fully in your hands. We’re ready to work with you, so don’t hesitate to start the application process today! National Funding is proud to have a strong history of successful lending exclusively to small businesses. In nearly two decades, we’ve helped all kinds of smaller organizations stabilize operations, expand their presence and diversify their offerings. When you partner with us, you enjoy a lending experience built around small businesses. Complete our quick online application and work with a knowledgeable loan specialist today!